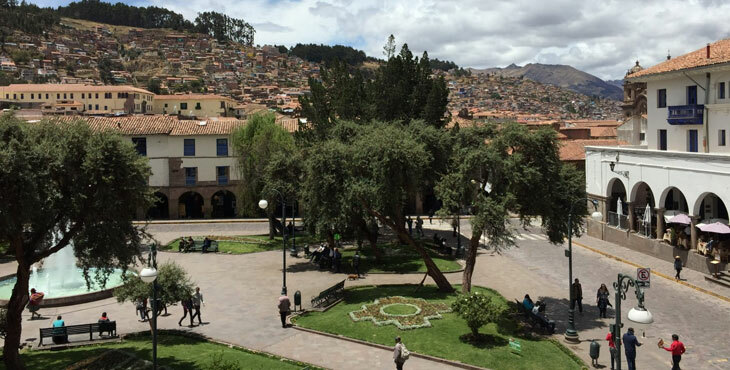 Latina Spanish School Cusco | Why Study Spanish in Peru? Blog / Why Study Spanish in Peru? Immersing yourself in your language studies might require stepping outside of the teaching space and exploring the world. Why study Spanish in Peru? What could be an effective way to learn Spanish than practicing it every day while joining and conversing with local speakers? Of course, getting a complete education may mean traveling throughout the entirety of Peru too. (At least, that’s what it should mean!) Whether your precise program runs for a few weeks, a semester, or a complete year, learning Spanish in Peru could be a great way to potentially expand your language capabilities in a way textbooks might not. It’s time to say hasta luego to your college or university and hola to an escapade in Peru! Choosing to study Spanish in Peru could contribute you the exclusive opportunity to completely immerse yourself in your language education. Imagine hearing Spanish practically anywhere you go. Now, imagine being able to understand it thanks to your study abroad program! Intensive language courses classically focus on developing your skills and knowledge of the language in the classroom. Then it’s time to take your new skills outside and basically apply them in a way an academic course might not! Whether you’re studying, in a restaurant, or hanging out in your dorm, you may be totally submerged in the language. What a famous way to test your speaking capabilities! Maybe by the end of the program you might even be disordered for a native speaker! When you think of Peru you possibly imagine bull fighting, Huayno, and passionate Marinera dancing. While these are all elements of Peru culture, there are many more things to explore than just that! And it’s hard to talk about Peru without mentioning the food. You could skip it, but then you’d be missing out on an enormous part of its culture! Though the food is delicious, you should also get out and experience the multitude of sites and activities that Peru has to offer. You could visit the Sacsayhuaman, a sprawling fortress in Cusco, Peru. Originally constructed by the Incas, you might want to check out some of Peru’s unique cathedrals like the Compañia de Jesus in Cusco or the Arequipa Cathedral in Arequipa. Both structures display influences from Peru history. These are just a sampling of what Peru may have to suggestion. Each city boast their own unique history – and cultural traditions – so be sure to ask your university if there are any events or festivals exclusive to your area! By doing a little research, you could have the Peru adventure of a lifetime.